To me, the Restaurant at Drakes holds an almost mythical status. 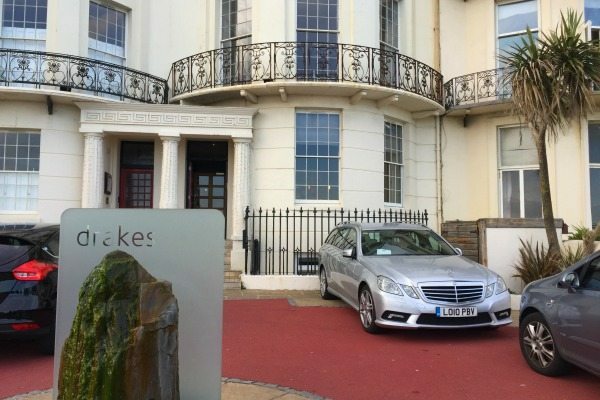 Located on Kemp Town seafront, this fine-dining gem is hidden from view in the basement of Drakes Hotel, so that, even if you walked directly past, you’d be oblivious to the artisan plates of food being savoured beneath your feet. Luckily for Drakes, its outstanding reputation for gastronomy means that it doesn’t need to rely on passing trade. Visiting with my partner Tommy, I was here to sample the seasonal a-la-carte menu – available as two courses (£34.00), three courses (£45), or four with a cheese course (£56). Descending a staircase to the intimate dining room, I felt like I was entering an exclusive world. Yet, despite the white tablecloths and silver cutlery, the atmosphere here is relaxed and unpretentious. This is largely thanks to the fantastically friendly staff, who have a natural knack for making you feel at ease. Our waiter and sommelier for the evening was Kevin. When he asked if we’d be interested in paired wines for each course, we readily agreed, welcoming the offer of expert advice from someone who clearly knew their stuff. Of course, wines are also available by the bottle or half bottle, so you could ask for a single recommendation rather than a whole flight. 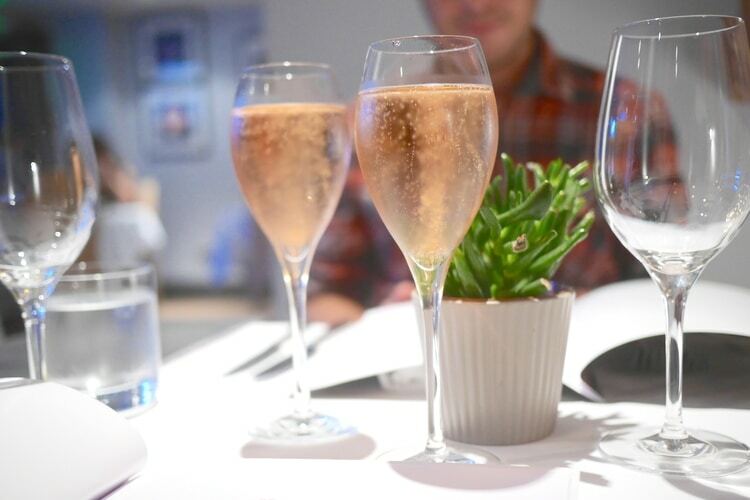 As we browsed the a-la-carte menu, we sipped our first glass of the evening: Bluebell Hindleap Rosé (2013) from the Bluebell Vineyard – just 19 miles away in rural Sussex. With a zingy freshness, this pale pink fizz is a great way to celebrate a special occasion or, in our case, add some sparkle to a drizzly Tuesday night. 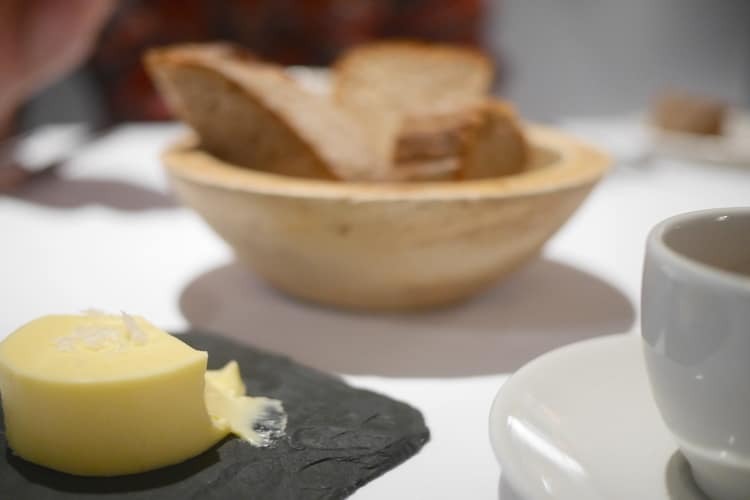 The basket of homemade bread it arrived with is also worthy of a mention: soft wedges of wholemeal sourdough with an outrageously crisp crust. Next, two teacups of chilled tomato consume arrived. The flavours came through in layers: a refreshing tomato essence, followed by a garlicky undertone, then a subtle lingering smokiness. “That’s the smoked olive oil,” Kevin smiled when I asked him about the aftertaste. 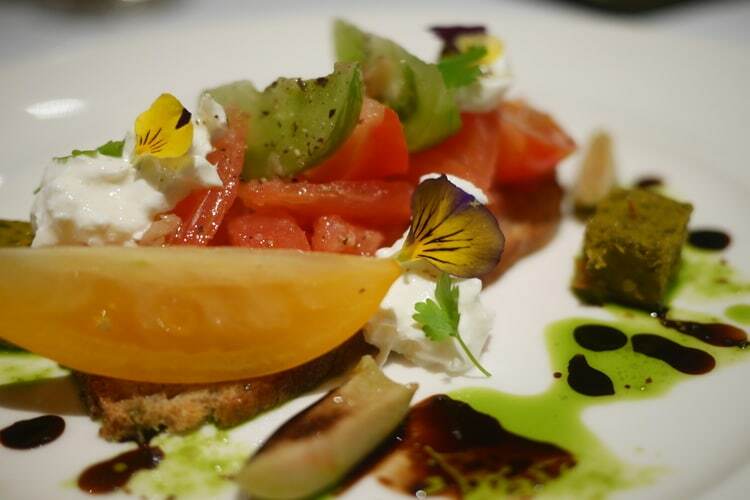 For his starter, Tommy ordered the heritage tomato bruschetta. Stealing a forkful of sweet red tomatoes and sharper-tasting green ones, I also sneaked a taste of creamy burrata cheese, sweet balsamic reduction, and basil jelly. 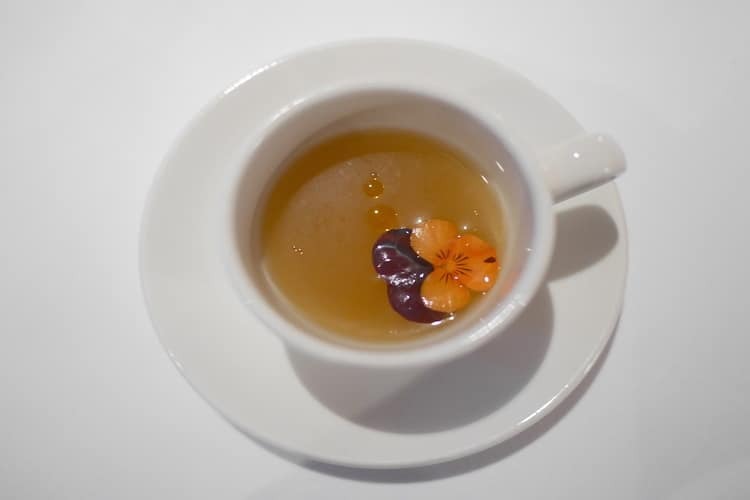 A delicious dish of bold summer flavours, it was paired with a crisp Bordeaux white (Chateau Martinon, Entre-deux-Mers 2016) – and I could tell by the Cheshire-cat grin on Tommy’s face that he was delighted we’d left the wine choices up to Kevin. For my own starter, I chose ‘textures of lobster’ (£5.00 supplement). 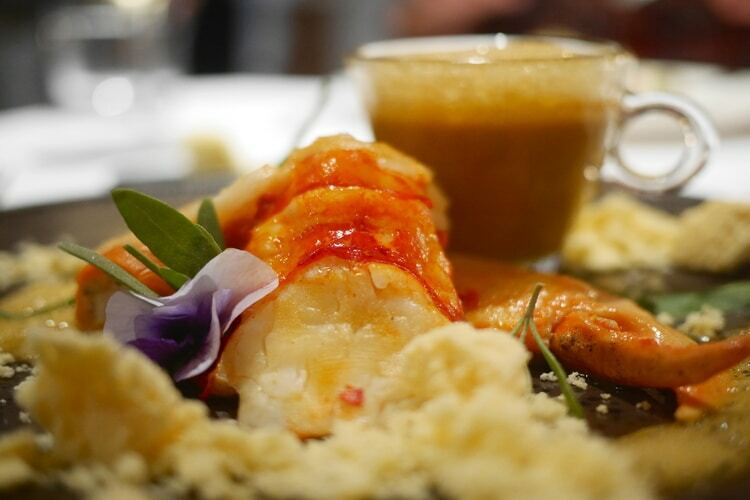 When it arrived, I tasted my way through al-dente cannelloni filled with flaked lobster; a Szechuan poached lobster tail; and a sweet and delicate claw served completely shell-free. Added to this was lobster foam, lobster ‘snow’ and a cup of lobster bisque, which Kevin told me was for “dipping, drizzling or simply drinking”. My wine was a Chilean Chardonnay from the Leyda Valley (Leyda Chardonnay, lot 5, 2012). 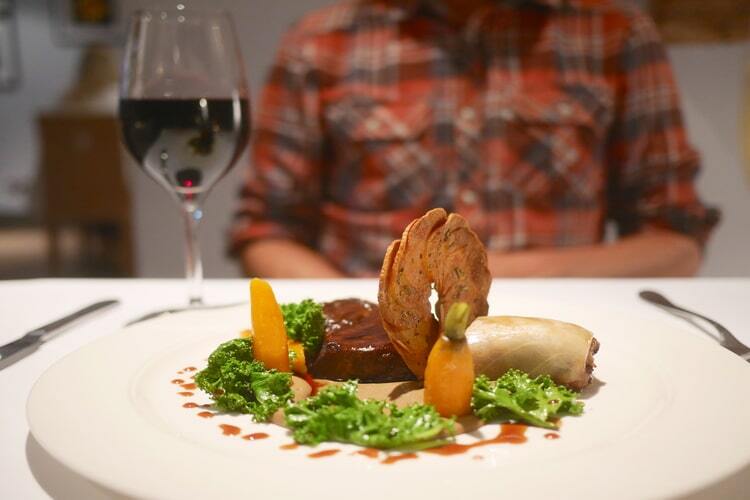 “It has an earthy flavour that goes really well with the lobster,” Kevin explained. And, of course, he was right. 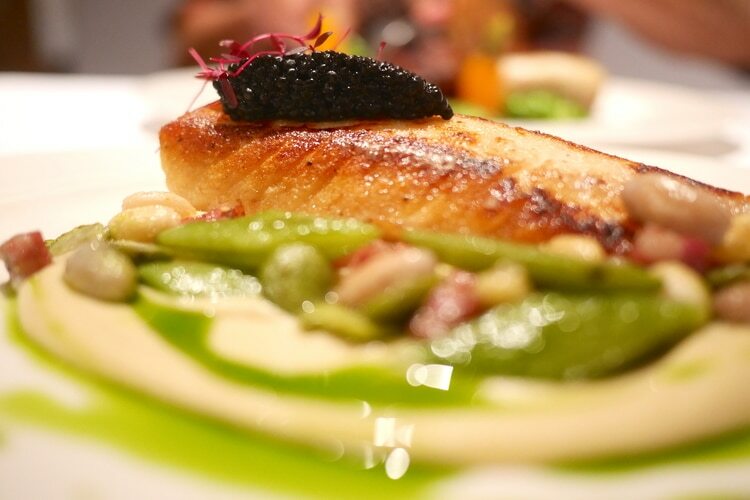 For my main, I chose the pan-fried halibut, which came with smoky Morteau sausage; velvety smooth cauliflower and almond puree; a fricassee of al-dente white beans; and a generous mound of caviar. A vibrant drizzle of parsley oil and a scatter of green beans added an uplifting freshness to the dish. 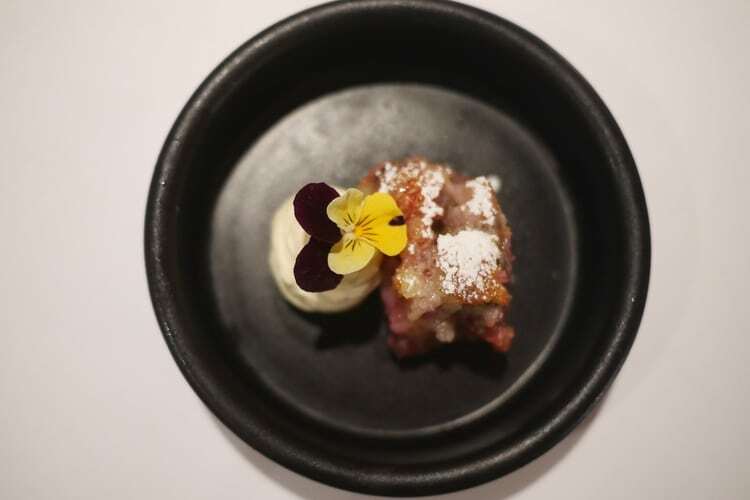 With the combination of subtle, salty, smoky and creamy elements in my dish, pairing this with a perfect wine must have been quite a challenge. Nonetheless, Kevin pulled it off with a Rhone Valley white (Viognier Les vignes d a cote, Cuilleron, 2015) that, as if by magic, was a perfect marriage with every flavour on my plate. Tommy opted for the Sussex Wagyu beef fillet (£7.50 supplement) – a cut taken from the world’s most pampered cattle. Reared locally on cider apples, a limited number are butchered each month, so as not to stress the herd. The result is steak so tender, you could cut it through with a butter knife. Served with cep puree, the fillet also came with a saucer-sized potato galette, a heart-stuffed cabbage leaf, vibrant green kale and baby carrots. Accompanying the steak was a daring wine – a 15% Chilean red (Carmenere ‘Falernia’ Elki Valley 2014) – which, Tommy smiled, was “another winner”. Pre-dessert, we were treated to a taster-sized serving of gooey fig tart. For his ‘main’ pudding, Tommy chose black forest soufflé – Kevin had pre-warned him that this was “a DIY desert,” which made perfect sense when it arrived. 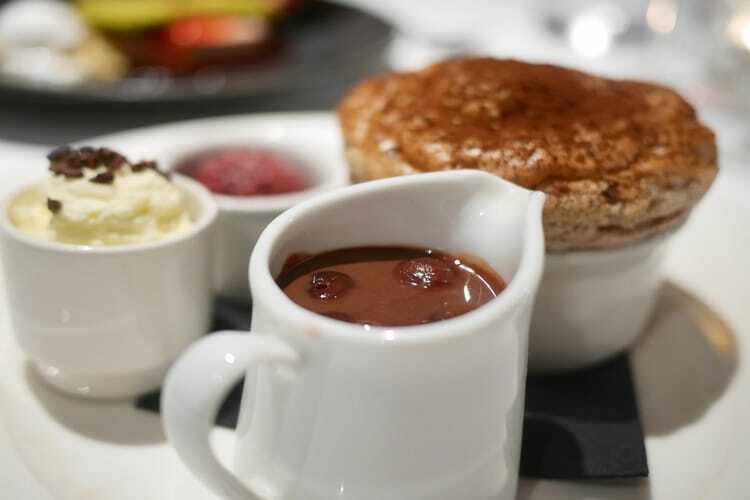 Next to a puffy chocolate soufflé were pots of sweet Chantilly cream, tangy cherry sorbet, and rich chocolate sauce with kirsch cherry ‘bombs’ – a name we gave them for their powerful punch! Great fun to eat, Tommy spooned, poured and dunked his way through the desert. And the Californian red (Elysium Black Muscat, 2014) it was paired with had a delicious jam-like aroma. 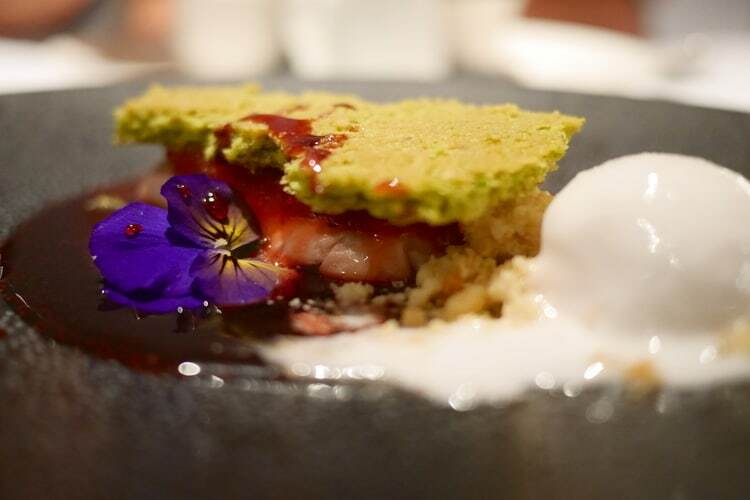 Behind Tommy’s soufflé, I indulged in a creamy strawberry parfait, with pistachio shortbread, elderflower sorbet, and mulled wine syrup that had a warming hint of cinnamon. My French dessert wine (Château Barbier, Sauternes, 2007) had a lovely honey finish. Surprisingly, after five courses (including amuse bouche and pre-dessert surprise), neither of us felt like we’d ‘over-indulged.’ Again, credit goes to Kevin for this: he’d advised us at each course, making gentle suggestions as to which went well together, to avoid being overly-rich. Climbing the staircase back to street level, we walked home to Hove along the seafront, chatting all 40-minutes of the way about every element of our evening. 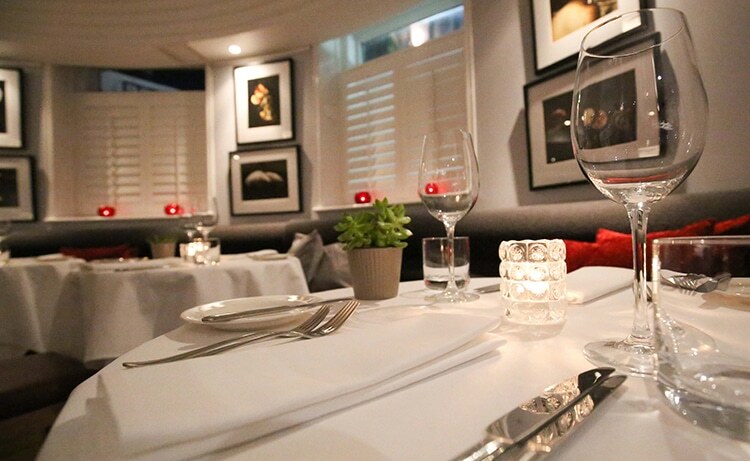 We both agreed that an evening at Drakes is as much about the fine food, as it the outstanding service and the seriously impressive wine pairing.